Bots have been mining play chips for resale on Zynga Poker, according to a recent report. Play money poker is all the fun of real money poker without any of the risk. The fun parts of the game are there. Check, bet, fold or raise just like countless hold'em players around the world, except without hundreds or thousands of dollars on the line. In theory, this mitigates many of the negative aspects of the game. Gambling addiction, devastating loss, unfair games played against players with more weapons than a typical Fortnite player. Certainly, one thing play money players don't have to worry about is bots infesting their games, right? Why would a bot want anything to do with play money chips? According to a recent report, though, that's exactly what's happening on Zynga Poker. Poker Industry PRO reported on Monday ($) that Zynga appears to be experiencing an epidemic of bot activity affecting its millions of users. The problem has become so rampant that Zynga couldn't even report its total number of users over a given window of time. During a conference call going over fourth quarter and 2018 year-long results, a company rep apparently outlined some of the issues that led to a down year financially for the online poker giant, which operates the No. 1 free money online poker client. One of those issues, as it turned out, was bots. When showcasing user numbers, the company's slideshow stated that "an increased volume of apparent player activity that we were unable to reliably validate and de-duplicate" made it impossible to say how many active users were playing in December. "Zynga is saying that in December there was a big spike in player activity from desktop that was clearly not legitimate play; that is, bots were playing at the tables. The fact that Zynga cannot 'deduplicate' these numbers — that is, exclude the bots from the real players — suggests a high level of sophistication." 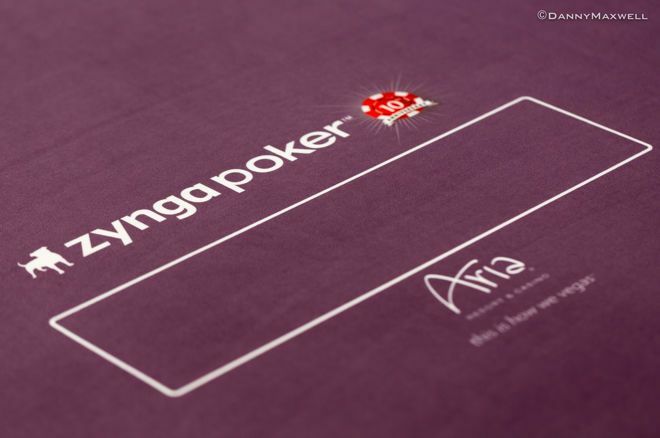 "Zynga Poker is dedicated to maintaining a safe and fair poker environment for all users"
Several months ago, a user on reddit's poker community posited that bots might be appearing on the site after the player entered some games and saw some highly unusual activity — folding. He or she posted screenshots of low-level players apparently entering the games and then not playing any hands, rotating out at regular intervals. "Zynga Poker does not support the use of automation software or bots. The use of automation software is strictly prohibited and is a direct violation of our terms of service. Additionally, we do not introduce bots or non-player characters into our own system to play against real users. "If you believe an opponent is exhibiting repetitive playing behavior and is reminiscent of an automated tool we encourage you to report the profile through the report abuse feature. Our compliance team reviews reported profiles and reprimands accounts that exhibit unwarranted behavior. Zynga Poker is dedicated to maintaining a safe and fair poker environment for all users." Why would someone deploying online poker bots target a freemium product like Zynga when there are numerous real money sites — both legal and unregulated — to go after? Keep in mind that, while Zynga Poker is a free-to-play game, it's still a multimillion dollar business. According to PRO, Zynga Poker produced roughly €32 million in revenue ($) in 2018. While that was a decline from 2017, that's still a large pile of money. This is a company that once had aspirations of becoming a player in the real money realm by converting its free users. In that vein, there's money to be made with bots on Zynga, although the route to profit is a bit circuitous. Chips on Zynga, while available for free, can also be had through direct purchase. Apparently, a black market has developed to satisfy the demand for Zynga chips, with users selling the chips at a discount relative to the official marketplace. The chips are then shipped via chip dumping. On the reddit thread, others speculated that bots may be deployed on Zynga as a testing ground as well before being used in real money play on other sites. Bots have become a serious threat in real money sites of all kinds — both regulated and unregulated. If a site like PokerStars, with its vast security resources, can have trouble with bots, one can only imagine the havoc bots would cause at a play money site.